The article below was written by my friend and frequent collaborator Tomasz Wisniowski in 2011. I thank him for allowing me to publish it on The Armwrestling Archives. 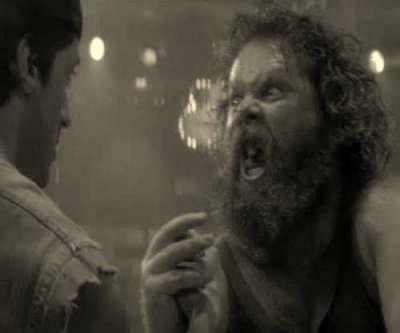 Over The Top was the biggest event in armwrestling history. Beginning with the first qualifier in Beverly Hills in August 1985, the competition lasted a year, moved the length and breadth of North America and included qualifying events in Europe, Israel and Japan. The finale came on July 26th 1986, with an 18-hour marathon tournament at the Las Vegas Hilton. 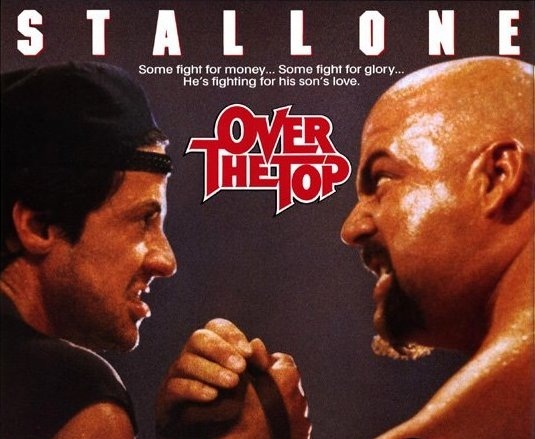 The following year came the release of the Sylvester Stallone film “Over The Top” which had inspired the creation of the competition. 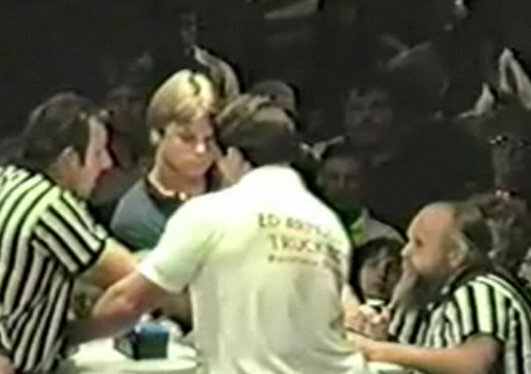 The film featured many real-life armwrestlers and footage from the actual tournament. But who's idea was all this? How did it get quite so big? And what was it like to compete in that colossal contest? 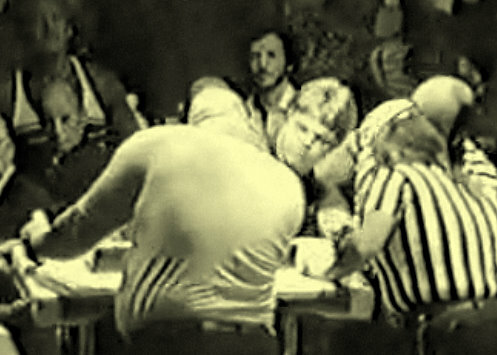 To mark its 25th anniversary, I decided to seek out some of the stories behind the iconic moment of armwrestling folklore. Unfortunately, the passage of a quarter of a century does take its toll on human memory. When asked about Over The Top, the first thing many participants will tell you is a variation of “I can’t remember, it was 25 years ago!” Luckily, this is often followed by a good piece of advice – “you should talk to Lori or Marvin”. 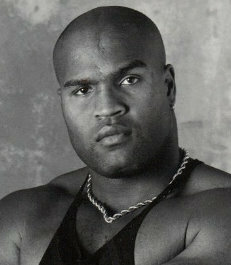 In 1985 Lori Cole owned an automobile body shop in Oxnard, California, and had already won 6 world armwrestling titles. In May of that year she received a call from Marvin Cohen, then working for the Cannon Group who were producing “Over The Top”. Cohen was a pool and landscape contractor by trade, but had been recruited by Cannon to create the promotions campaign for "Over The Top". Lori told Golan about the tournaments that had been organized around the United States, and Golan asked how they were going. ‘I told him “Great! But you never came to any of the tournaments and we are getting ready to do the last one in Reno this month…You really need to see an armwrestling tournament to do your movie.”’ Conceding that this was true, Golan readily agreed to go to Reno, Nevada for the final US qualifier. Then he made a suggestion. 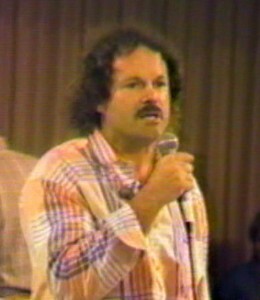 The first qualifier took place on 25th August 1985 at the Beverly Hills Hilton. More events followed in other US cities: Spokane, Denver, New York, Chicago, Houston, Anaheim and Reno etc.. Then came the worldwide qualifiers. Starting in Canada with contests in Toronto and Edmonton, the competition moved to Israel (Tel Aviv), Holland, Germany, France (Paris), Great Britain (Manchester) and Japan (Tokyo). Most of these events cost about $100,000 to stage, with prize money of around $30,000. The Tokyo event cost almost $250,000. The four best armwrestlers in each contest qualified for the finals in Las Vegas. 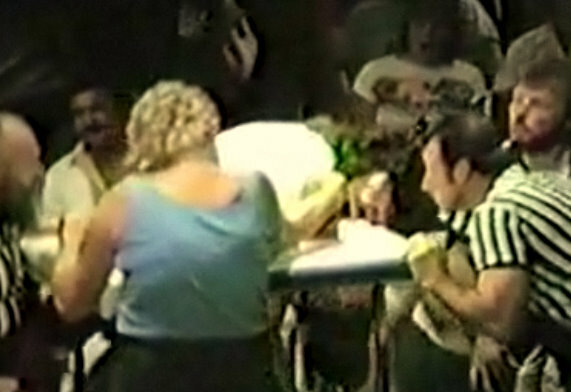 Although an armwrestler could enter as many of these qualifying events as he or she could get to, they could only qualify once. If an armwrestler who had already qualified won one of the first four places, the fifth placed puller would also qualify. This was a real issue: because John Brzenk worked for Delta airlines, he could make it to all the events, and he did go to all of them. In addition, no armwrestler was allowed to win more than one portion of 1st place prize money. If John won 1st place at one event, taking home the 1st place prize money, and then won 1st place at another event, he would only be entitled to the 2nd place prize money at the later event. *All classes had a 5-lb clothing allowance. On 26th July 1986 over 800 qualified armwrestlers were in Las Vegas to compete in the finals of Over The Top. The tournament started at 1pm and ended the next morning, two broken arms and about 18 hours later, sometime between 6:30 and 7:30 am. With such a large number of competitors, it was impossible to run the tournament on two or three tables. In fact something like 8 or 10 tables were actually used. 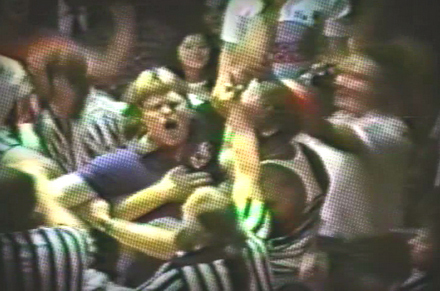 Only for John Brzenk’s match against Ed Arnold did everything else stop. A $250,000 Volvo White Truck was at stake, the match was insane and it felt like it could have gone either way. ‘The crowd went completely nuts during and after the match,’ remembers Lori. Throughout the day, cameras were rolling to capture scenes for use in the movie. ‘Almost all of the footage in the film is from the actual tournament.’ The only exceptions were the shots that featured Stallone himself. 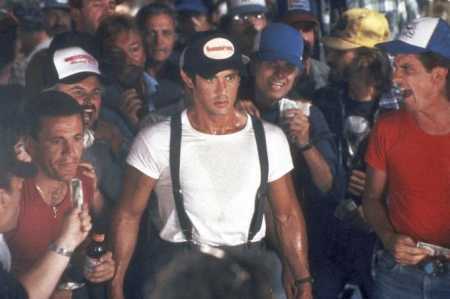 Stallone’s on-screen matches, with Rick Zumwalt, Bruce Way and a few actors who were not genuine armwrestlers, were all filmed the day after the real finals. However, the staged shots did use precisely the same location, and the “extras” who made up the audience in those scenes were the same real-life fans who had packed out the venue the day before. One notable difference between fiction and reality is the Plexiglass table which features in Stallone’s final match against Rick Zumwalt. 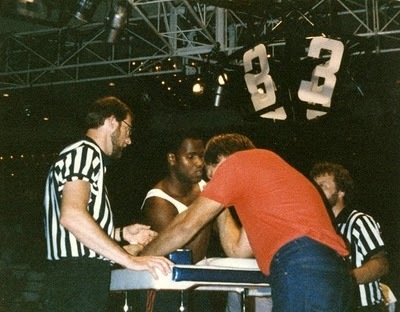 It may look good on celluloid, but in fact that table was not used for any of the matches in the real tournament. After 25 years it was difficult to find all the results from the finals, where over 800 pullers competed in 21 different divisions. Below you can see results from the Men’s Trucker Open-Superheavy division and the top places in all the PRO divisions. You can also see the prizes that were up for grabs in every division. In almost all cases, the prizes were identical. The only differences were in the Men’s Open-Superheavy divisions in the PRO and Trucker classes. I the Military Class most of the competitors weren't profesional pullers so it would be impossible to find out who they were. Lori Cole: “The Armwrestling champion at the time, Cleve Dean, was supposed to be Stallone’s final opponent in the movie, but the producers changed this at last minute . They decided to use another actor/ pro wrestler. The producers thought it would be too unrealistic if Stallone beat Cleve Dean. So, Unfortunately, for Cleve, that never came to pass.That's Hollywood!!! Then the Pro Wrestler they were going to use instead of Cleve Dean also got the Axe. 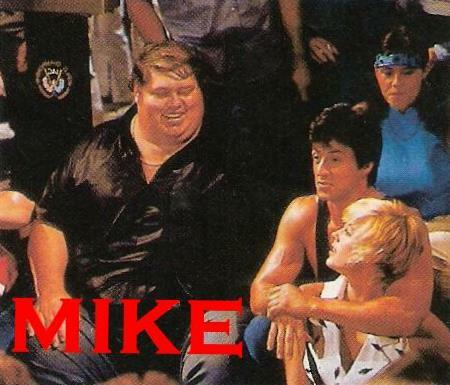 He was also decisively larger than Stallone.That's when they decided to use Rick Zumwalt instead. **** Sadly we lost Cleve Dean this year to a massive heart attack on May 10,2011 Rest in peace Cleve ! Lori Cole: John Brzenk Jr. won the Truckers Class against Ed Arnold Jr.
John Brzenk qualified for the Truckers class because he worked for Western Airlines (Now Delta) John was a Teamster but not a Trucker.” The Truckers Class was for anyone who was either a member of the Teamsters Union or a Trucker/Teamster, or a Non Union-Trucker. **** Sadly we lost Rick Zumwalt several years ago. Rest in Peace Rick! Lori Cole: “John Brzenk won in the Truckers Class in the finals. He won the Volvo White Truck and Trail-mobile Trailer it was worth about $250,000.00 USD although he did not receive it until almost a year later, His truck went on Tour across the nation to promote the film. He sold it for I believe $135,000.00 USD and approx $35,000.00 USD for the Trail-mobile Trailer.”He bought a 1987 Corvette with some of the money..
Over The Top may be the greatest arm wrestling event ever. When I arrived at the Las Vegas Hilton July, 1986 I was cutting through the pool area and there on a lounge chair was Bert Whitfield and a few of his entourage. We said "hello" and got to talking arm wrestling and he mentioned he was pulling in the middleweight Truckers division . I wasn't sure how the truckers classes worked and how to qualify for the big truck prize that John Brzenk later won. It may have been just the heavy weight truckers class that qualified or an overall. I asked Bert who was here, and he said "who isn't here or coming," LOL. I later met with Marvin Cohen in the lobby. Marvin is the man that organized and masterminded this great big event. When I asked Marvin how many were coming to the tournament he said a lot more than I ever thought or dreamed of. Marvin thought between 500-700 arm wrestlers would be competing and entering. These are not entries but actual competitors, something unheard of to this date in history. A friend of Marvin's said what we have here is an arm wrestler's Woodstock happening this weekend and I think he was right. I had never seen such a wild mess of diversity and fans especially when tying it all into the filming of the movie “Over The Top”. Just watch on Arm TV some of the rare footage of the actual tournament and you can put your self in the atmosphere somewhat; it's something we have never seen or will again. I met up with Johnny Walker a bit later and we talked for a little while. Johnny said "damn I here we got like 80-90 people in our class." I said "wow, but the good news is my chances of catching you in the first round is slim," we chuckled. It later turned out that our class the 195 lb Middleweight weight division had a total of 83 right hand entries..
As we talked Johnny was mentioning some of the guys that were in our class: John Buononato, Jack "Popeye" Wynn, Clay Rosencrans, James Battles, Todd Demasseo, Larry Fontaine, Gary Ray, Jeff Gonzales, Ray Darling ,George Givens, a young Ron Bath, all National and World Champions, Tony Senger (the best 200 Lb the previous five years in Canada) as well as German. Italian, Brazilian and Mexican National Champions just for starters. I was 19 years old and went to the tournament with my mother, father and sister Sylvie. The tournament was over 20 hrs long. That day I beat Dot Jones twice, I did not know or hear of Dot before this tournament but I was very intimitated by her size and her personality. Apparently Dot took a stick and hit herself on the shoulders repeatedly with it and her manager slapped her numerous times in the face before their match. The final match took about 20 -30 seconds and was back and forth a little bit. It was a great moment for me to win this tournament and put me on the armwrestling map so to speak. I won PRO Open class, $ 5,000 and a nice trophy. 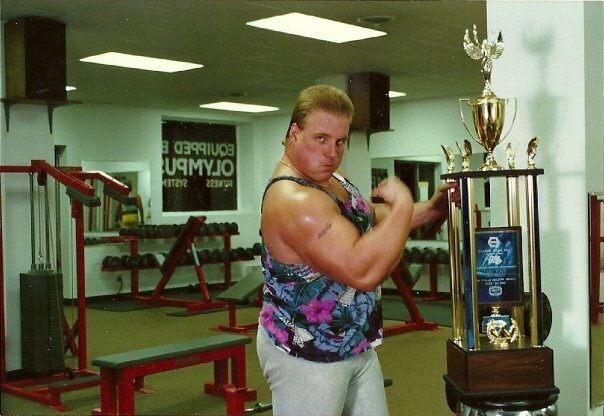 "In 1986, at the age of 19, I heard about an upcoming contest called the Canadian Over-the-Top Arm Wrestling Competition. The tournament was being initiated for Sylvester Stallone’s upcoming movie called Over the Top, about an underdog arm wrestler. In order to bring some authenticity to the film, Sly decided to hold a series of national arm wrestling competitions around the world. Each winner would receive $10,000, a chance to appear in the movie, and a trip to Las Vegas to compete in the international finals against the world’s best arm wrestlers. The Canadian Over-the-Top Tournament was held at the Convention Center in Toronto and featured a field of about 200 of the nation’s most accomplished pullers. The tournament was structured in a double-elimination style, which meant that each competitor had to lose twice in order to be eliminated. I entered into the 196-238 pound weight class at 227 pounds, making me one of the bigger competitors and an early favorite to win the tournament. My first grapples were against good competitors, but I still ended up easily making it to the finals. In the finals, I faced off against a really top-notch national competitor named Rick Baarbe. Rick and I were long-time rivals, and had already faced off against each other several times before. 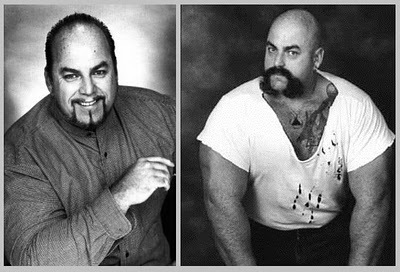 Baarbe, who is from Kitchener, Ontario, Canada and about 10 years older than me,is a massive, burly man with a big pushed-out belly and huge, powerful hands. Rick and I started off with two intense back-and-forth grapples that saw me win the first and him take the second. Going into the third and final grapple was a big moment for me at the ripe age of 19. I knew that in order to beat Baarbe and win the tournament, I would have to step-up mentally and become a man. I gave it everything I had from the beginning. It was a winning strategy and I flashed Baarbe in eight seconds, tearing some muscles in my arms and shoulders in the process. It knew it was a huge win for my career as a puller and I was overjoyed. Although I couldn't’ move my arm for days after the tournament, it was definitely worth it. A few months later, when I arrived at the Las Vegas Hilton for the filming of Over the Top, I was amazed at the size of the spectacle. 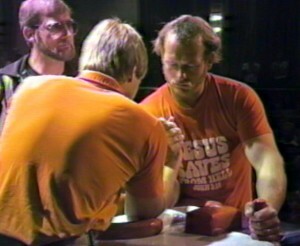 Instead of setting up a fake arm wrestling tournament, the producers of the movie had decided that they were going to film scenes for the movie during the actual International Armwrestling competition. For that reason, many of the actors in Over the Top were legitimate world-class Armwrestlers from all over the world, including Carl Adams, Rick Zumwalt, and Cleve Dean. The tournament was taking place in a massive room at the Hilton convention center, but there were so many huge athletes around, it made the room look crammed. There were over 800 competitors from all over the world and they were all mammoths. The smell in the room was thick with Absorbine Jr., Rub A535, and other topical analgesics. There were cameras shooting scenes all over the place and tons of people telling the crowds when it was time to scream and when it was time to cheer. All of the grapplers were set up on tables, and whenever the film’s director, Menahem Golan, was ready for a certain shot, the movie crew would stick the actors into the middle of what was going on. I never been to anything as exciting as this event, I was a small town farm boy who was in the big city at a big event, never seen anything like this before, I was amazed…There were many great memories with the Over the Top tournament…When Ginger and I (wife) enter the hotel (Las Vegas) Sylvester and two body guards were walking down the hall, it was cool seeing him and realized he’s not a very big guy….When we got to the venue it was amazing, thousands of people in bleacher style seating and a huge stage area with about 12 armwrestling tables….They had ring girls and the grand prize truck on display…There were over 700+ competitors and the event started at 9am Sat morning and got over at 7am Sunday morning, there were people sleeping on the benches waiting to get called to arm-wrestler….During the event Sylvester would come out and the tournament would stop so they can get play by play action for the movie….and he would talk to people during his off stage presents, I walked to him and ask, hey Sylvester do you mind if I get a picture of you and your wife (Bridgett), he replied “ha what will you give me” I told him I’ll give your wife a kiss he said haaaay and I took the picture….As Sylvester left the room he walked by were we were setting and smiled and winked at us, I thought that was cool…. 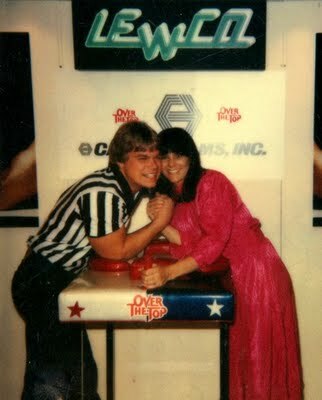 Lori Cole and John Brzenk promoting the Over the Top line of toys made by the Lewco Toy Company at a toy show in in New York City. 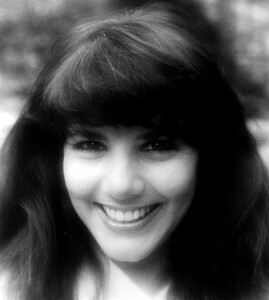 Lori Cole: "Lewco Toys came to us and wanted to do Toys for the Film. They asked who the biggest names in the sport were at the time. They did prototypes of Sylvester Stallone (Lincoln Hawk) and the Various Armwrestlers including: John Brzenk, Bruce Way, Rick Zumwalt, Johnny Walker, Cleve Dean and Me (Lori Cole).We then did the toy show in New York City to promote the toys to the Buyers and the Press. (We even had David Letterman come by Lewco's showroom. He was asked to Armwrestle Cleve Dean and he refused). The Toys were all made except for mine. They decided that female action figures were not big sellers so they scrapped mine." 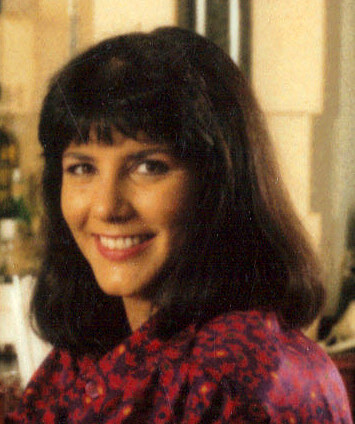 Quote by Lori Cole: "Over the Top" was the most publicized Sports - tie- in to a motion picture in History. Thousands of articles were written before a single frame was ever filmed. Sylvester Stallone actually dropped out of the film at one point because of a disagreement with the producers. 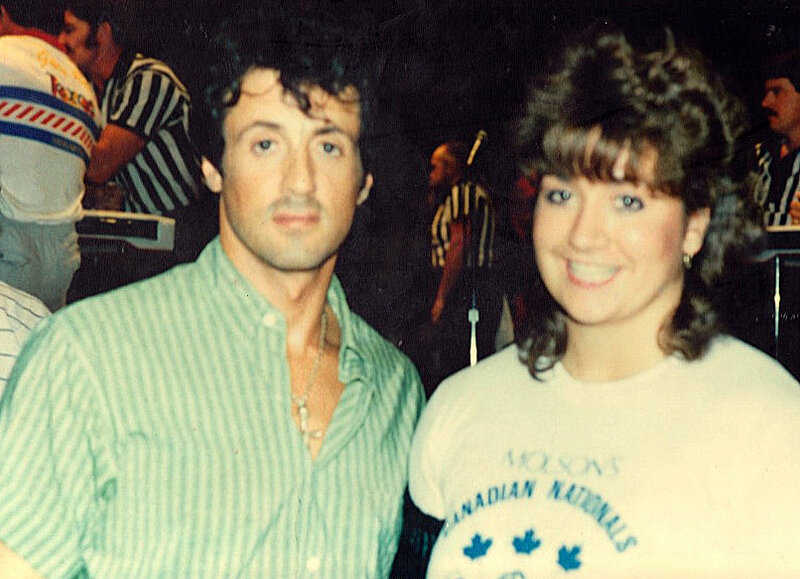 It was the media blitz that Marvin Cohen and Lori Cole had done for the tournaments that brought Stallone back into the film. Imagine what would of happened if Canon Films second choice Don Johnson (Miami Vice) had starred in the film instead of Sylvester Stallone. The following Article appeared in 1600 Newspapers across The US. This particular version was from The Chicago Tribune. "After Rocky And Rambo, It's Arm Wrestling"
Sylvester Stallone has become the highest salaried man in the world with wages of $12 million for his new movie Over the Top. 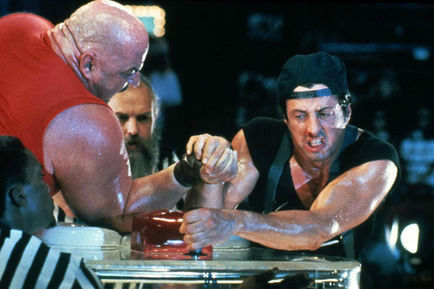 Stallone did not twist arms at Cannon for his enormous paycheck to play a truck driver who enters a national arm-wrestling tournament to win prize money for a life-saving operation for his dying son. It`s a nice change of pace for Stallone, who will be trying to save a life instead of beating an opponent to pulp in the ring or massacring scores of Russians and Vietnamese in the jungle. 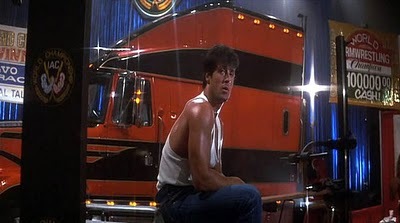 Instead, Stallone will be challenging other truck drivers longshoremen and various rough and ready types to become grand galactic arm-wrestler champion of the universe. To create international interest in the blue collar sport, Cannon films has hired a public relations company specializing in sports fund-raising events to publicize a series of regional arm-wrestling contests around the country that will peak next March in world championship finals in Las Vegas. Seven divisions from lightweight to superheavyweight will be involved. The superheavyweight champ will receive $10,000 with $5,000 apiece going to the four male and two female winners in the other divisions. 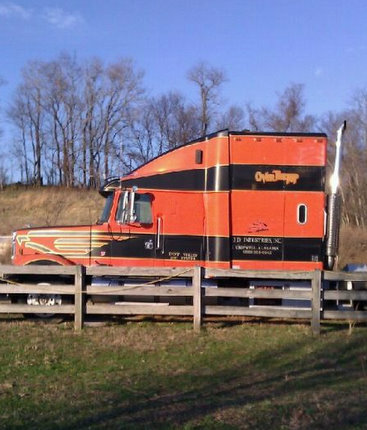 Additionally, promoters will give a $250,000 truck and trailer rig to the winner of a special teamster division. Helping promote the movie and the cause of arm wrestling is a fetching lady arm-wrestler champion named Lori Cole, 29, who stands 5-foot-7-inches and weighs a shapely 130 pounds. 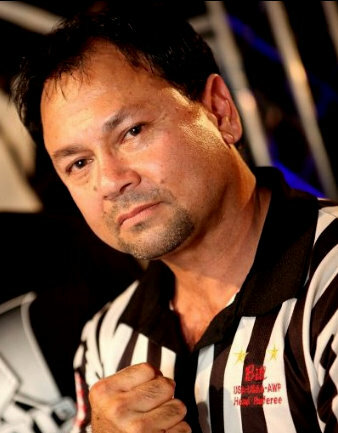 Cole has participated in more than 100 tournaments and six times has been acclaimed world champion lightweight arm wrestler. But arm-wrestling titles are as suspect as TV`s ``rassling`` champions. There`s no governing or sanctioning body. ``This movie will make arm wrestling legitimate,`` Cole predicted. ``It will also popularize the sport internationally. Cole became defensive about her sport when it was suggested it probably does not draw the same sort of competitor as, say, yacht racing or polo. ``Well, they do say arm wrestling is the sport of the common man,`` she said. ``You don`t have to buy expensive equipment. All it takes is a table to rest your elbow on. But arm wrestlers do come from every walk of life. According to Cole, most matches last only two or three seconds, although they have been known to endure for a vein-popping, muscle-exploding four or five minutes. She says arm wrestling is about 90 percent mental. 6th September 1985 - By Vernon Scott. United Press International. 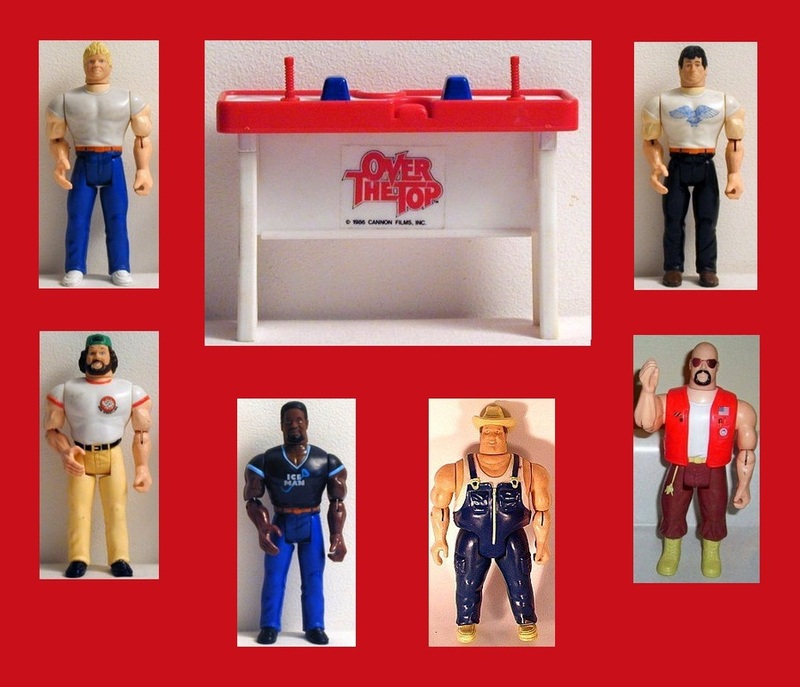 Over the Top had dozens of Sponsors their paid for the tournaments but it was also for product placment in the movie. In the 30s, it was called a tie-up. In the 80s and 90s, product placement. Today, can we just call it over-the-top? Sure, when characters use real-life products in movies it lends the production an air of authenticity, but when those products become the film's central focus, well, that's where we draw the line. 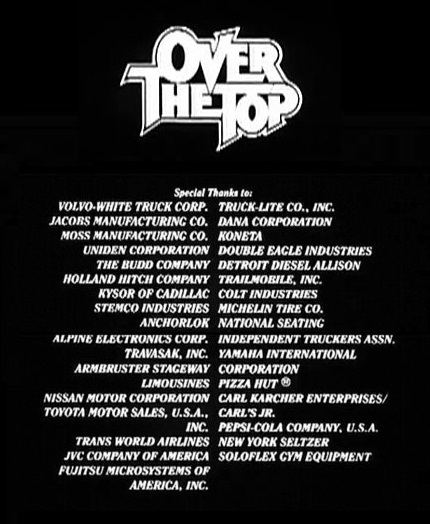 In fact the film "Over The Top" had so many sponsors that the film industry has made fun of the product placement business ever since. There have been statements made like "we want to have as much product placement as Over The Top did". Some of our major sponsors were: Faberge' Brut, Budweiser, Amor All, Pinkerton, Toledo Scale, Durcacell Batteries, Volvo White Trailmobile, Lewco Toys. 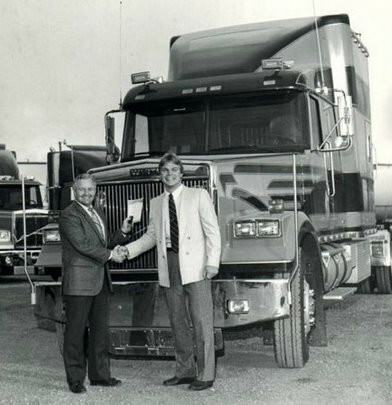 The main prize of the finals in Vegas (won by John Brzenk), the Volvo White Semi Truck that was used in the 1987 movie is in good condition. In 2011 the Truck was up for sale on Craigslist for $22,500. 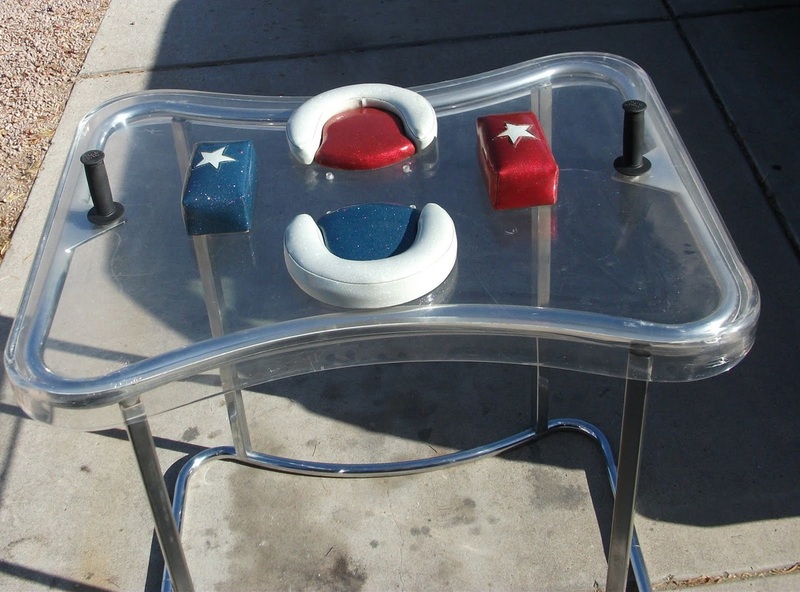 That Plexiglass table is now owned by John Bergstrom and is for sale for $35,000. If anyone is interested please contact John Bergstrom or Lori Cole. 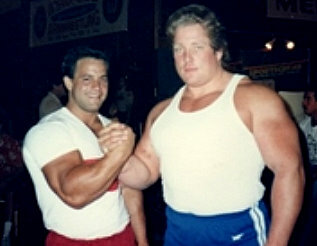 I hope you can now see how big and important OVER THE TOP was in the armwrestling world. The size and scale of this event from the mid-80s is unique and probably impossible to re-create in the present time. OVER THE TOP is an icon of our sport. The legendary Sylvester Stallone may not be an armwrestler himself, but through his portrayal of Lincoln Hawk he did armwrestling a great service and promoted the sport throughout the world. Thanks to my friend Daniel Guise for his help with English grammar and phrasing. 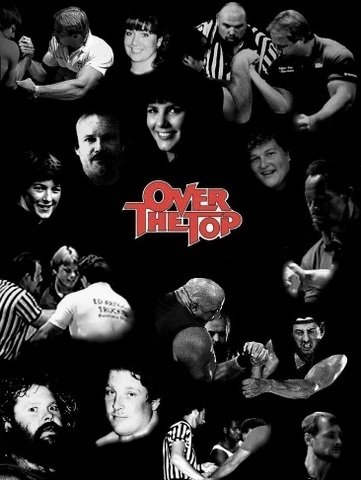 Thank you to Gary Goodridge, Guy Lasorsa, Liane Dufresne and Bill Collins for sharing their memories of Over The Top and also big thanks to Charlie Minell, Allen Fisher and Michael D. Shadduck for photos and inforamtions. Finally, enormous thanks to John Brzenk, Marvin Cohen and Lori Cole for all their help. Over The Top could never have happened without Marvin Cohen, and this article could never have come to life without Lori Cole.